This is the report I have written for StreamingSoundtracks in May. 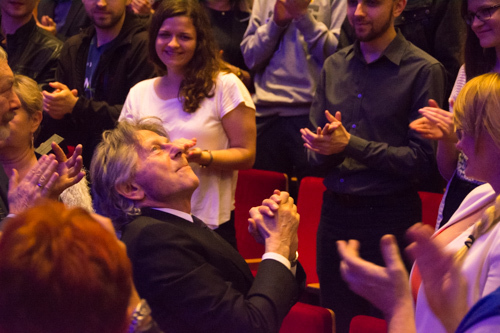 The first two days of this year’s concert was Scoring4Polanski where music of the director Roman Polanski was played. 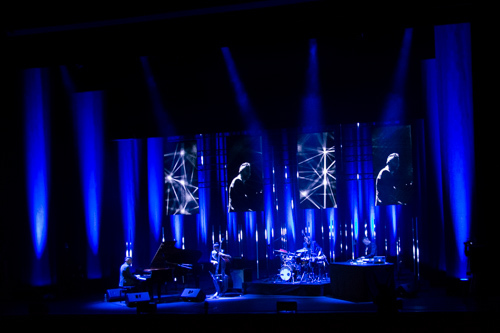 This concert was done twice: on the first day in Katowice where only one member of our group went. The rest went to the standard restaurant where we start each year. On the second day it was in Krakow where a larger group went. The second day had also a nice workshop at the university where a professor told us how the ear works. After drinks and dinner, we went for the Polanski concert. 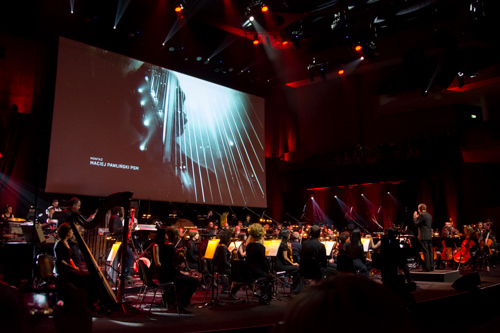 Dirk Brossé was conducting and Roman Polanski and the great composer Alexandre Desplat where present. At the end of the concert they were throwing their flowers in the audience. It was a very nice concert with some unknown music for some of us. The day ended in one of our favorite bars in Krakow. The third day of this year’s was Wars and Kaper. These two Polish composers made music from the 30s to the 60s. The music have been modernized by the Audiofeeling trio and a DJ. An interesting jazzy concert. Not the usual music we are used to. The rest of the day was filled with workshops, getting autographs and having a meet and greet with the great Alexandre Desplat! We are halfway the festival, so about time for the press conference! The rest of the day consisted of some interesting workshops and in the evening we had the Drone Sounds concert, where a full orchestra was completed with other more modern instruments. It really added something to the music. 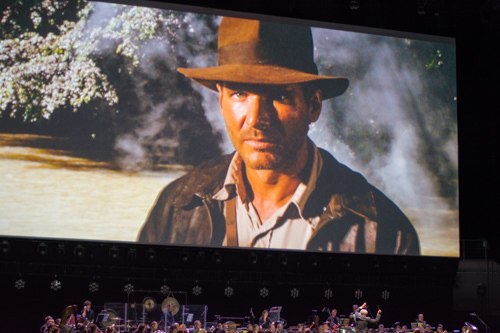 It makes us very curious about the future of film music. Music from ?ukasz Targosz, Cliff Martinez, Joseph Trapanese and Jóhann Jóhannsson was played during this very nice concert. This day was a great day! 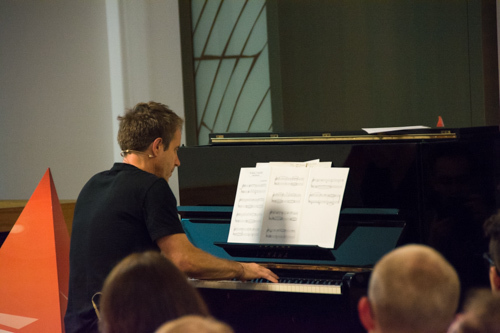 It started with a very awesome workshop of Harry Gregson-Williams. He showed us how he is scoring his movies. It was educative and funny from time to time. Every left the workshop with a smile on his face. The concert was the biggest one of the FMF this year. It was the animation gala held in the big Tauron Arena. Music of animation movie was played. Also two awards were given during the gala: The FMF ambassador award and the FMF young talent award. This concert started early so afterwards there was enough time for the whole group to have a nice dinner. Today was a concert day. It started with music from the Warner Brothers animation series. All three composers were present. The orchestra performing it was the FMF Youth Orchestra. Always a treat to hear a concert without any enhancements of sound. It was quite a treat. These young musicians have a lot of potential when the are grown up. The workshops were quite special. First it was a meet and greet with the Witcher 3 composers. Afterwards there was the workshop were there were talks about how to build an audience where we were present again in the panel! The main concert of the day was Indiana Jones live. The music is from John Williams with Ludwig Wicki conducting: a recipe for a very nice concert! The last day was a special one. We started the day with checking out Kinder Chocolate made over whole Europe and testing their tastes. Afterwards we had a fun time in the cat cafe of Krakow. This morning was a bit of a SST chat thing :-) There were not much workshops going on. One was with the three composers again from the Warner Brothers animation movies and the other one with the creators of Witcher 3. 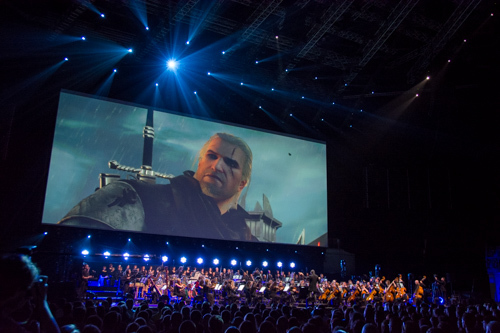 The concert itself was music of Witcher 3. Three suites was played. The biggest one of the main game. The other two suites were of the two expansion packs of the game. Afterwards the last drinks before everyone went back to their homes. So this concludes our report of this years festival. It was a blast!